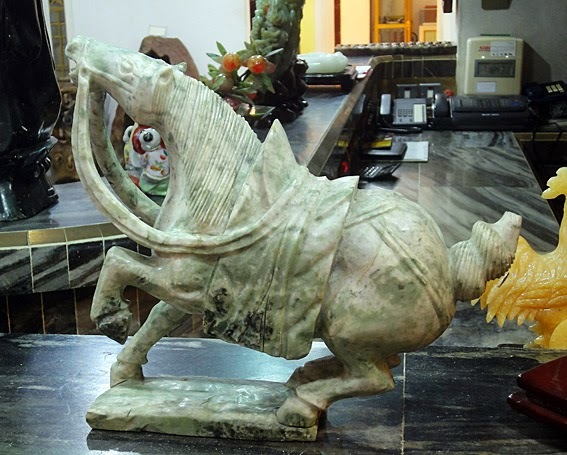 Horse sculptures are an asset in every home or office because they just look good. Prices of the statues depend much on the size and costs are manageable they wont overwhelm you other important parameter are color texture and translucency. 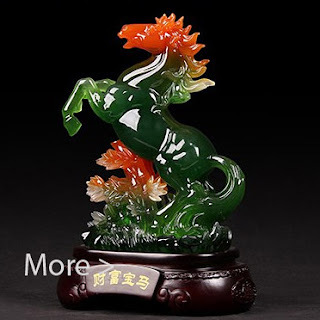 A pretty jade horse decoration accessories will bring color and life into your living space add some pretty and styling lamps and the ambiance becomes almost perfect to make everyone feel good it also has some Feng Shui property. 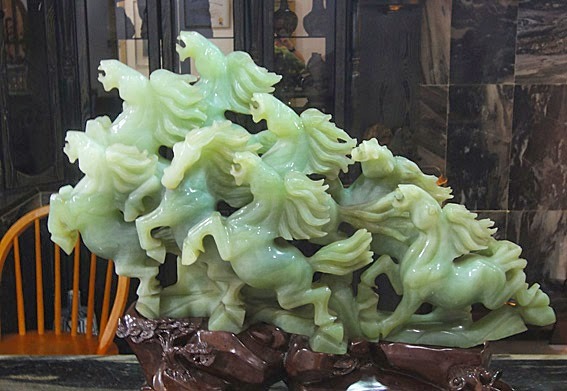 Beautiful Jade Horses sculptures pendants and other designs >. 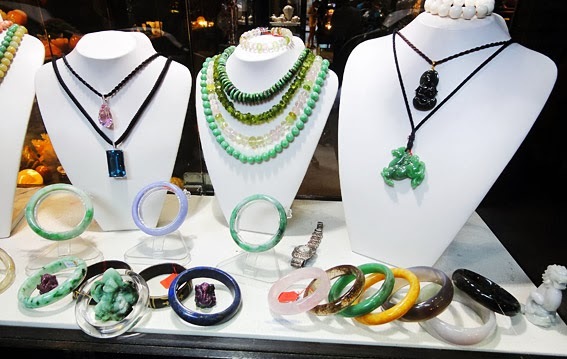 There is no need to follow trends and fashions just take what you like already enough “follower of fashion” around just make yourself an oasis of comfort and feel good. A other version is put a stallion in the house. 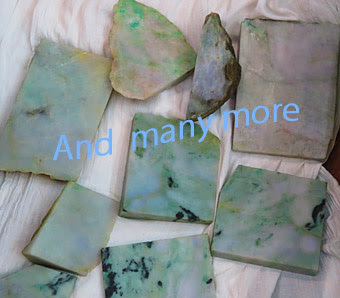 really pretty one crafted from the green stone although no need to have that color there are many possibility. 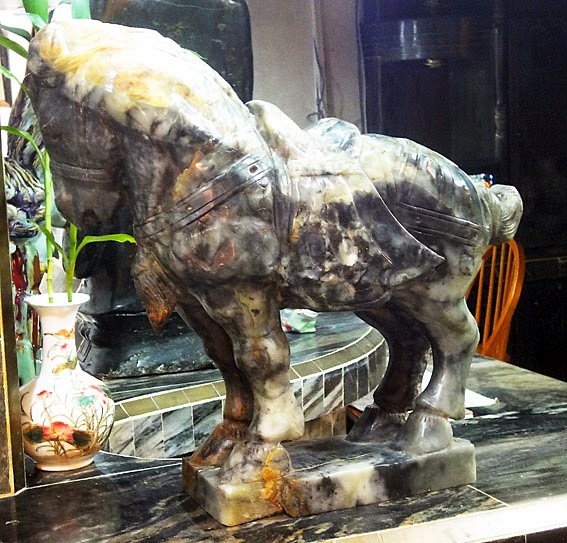 There could be also a buffalo, maybe even a chicken creativity is unlimited and some eye-catcher always welcome. 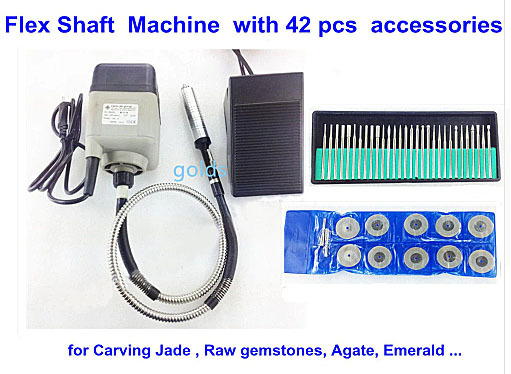 This artwork also tell something since it is usually an expensive item it shows your taste and creativity. 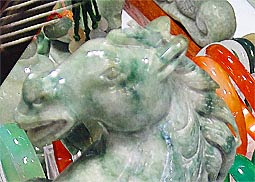 The animal sculptures here are made from "Chinese jade" exquisite interior decoration giving a special touch to a home or office. They are particular popular with Chinese people that is the reason why most are made from nephrite. 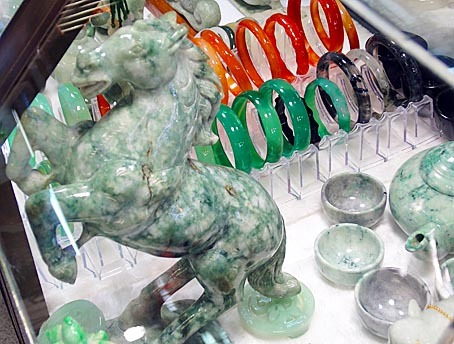 In recent decades jadeite is used also since the texture and colors look better, read more. 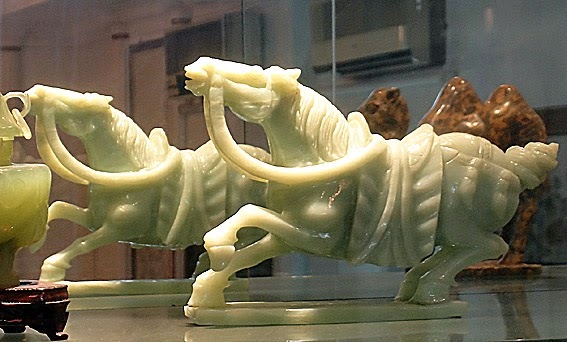 Horses and humans have a long time together in history. The power and beauty is legend, paintings, drawings on walls and sculptures on tables admired. The horse has given us somehow wings to fly over the earth and carried our goods. This strong animal gave us speed and freedom until the car came. 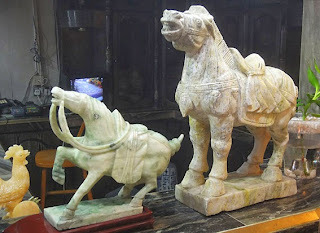 Today artists put a magic soul into sculptures of these great beasts. Other hangs paintings on the wall and put bronze and green stone carvings on a board. 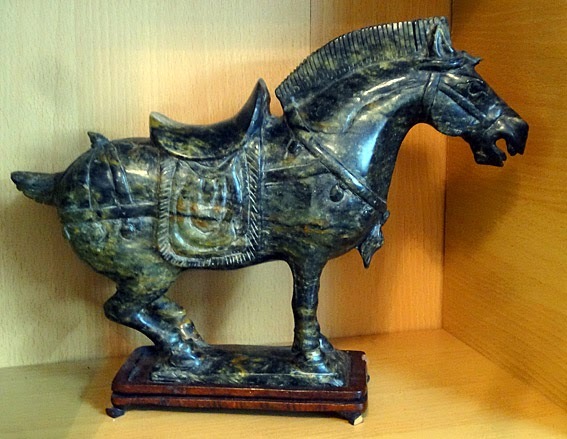 The art of the horse is still very popular as it ever was. 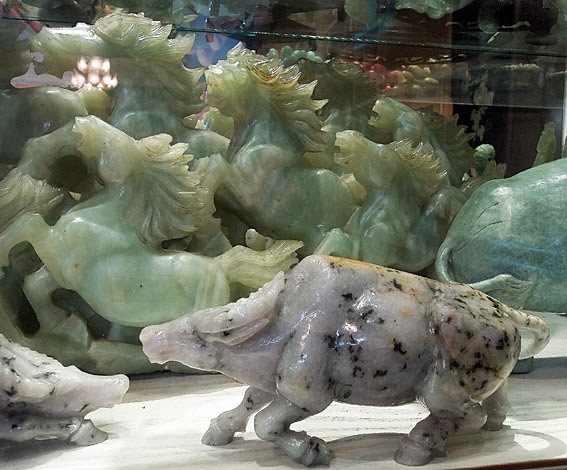 Beautiful jade animal stone carvings. They have their place in history and there is a reason for, because they simply look good. 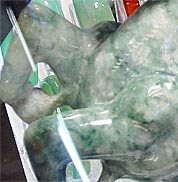 With the knowledge of the artist they can become real precious work what makes them often very interesting is how the stone pattern, veins and colors are integrated. 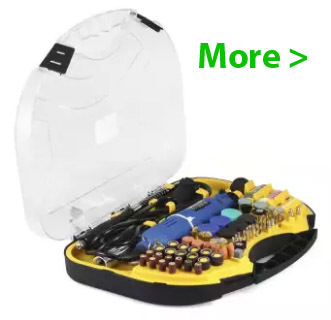 To handle this is already a difficult task by itself. 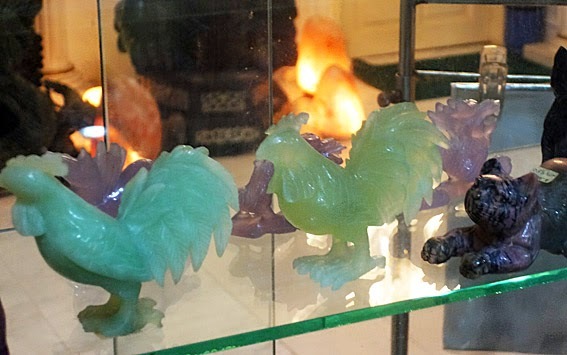 Nephrite chicken and turtles carvings in different colors look somehow funny but bring a creative touch and some color into the living space. Everyone like something unique and that definitely is it, actually I don't know what to do with this animal beside of eating them but other people have other ideas and tastes.